An opportunity to spend three nights sailing on ‘The Most Luxurious Ship Ever Built™’ isn’t one which comes around often. So, in the name of research, Sales Team Leaders Carla Straw and Sharon Tucker packed their hand luggage and joined Seven Seas Explorer in the Mediterranean. It was a warm October afternoon and we were being chauffeur-driven along the French Riviera, from Nice to Monaco, in a Mercedes bound for a six-star ship which would become our home for the next three nights. As far as pinch yourself moments go, this was up there with the best of them. Having been invited to experience Seven Seas Explorer with Regent Seven Seas Cruises, we had arrived at Nice Côte d’Azur airport less than an hour earlier, our chauffeur meeting us at passport control and even retrieving our luggage from the carousel. For those who have ever doubted the value of private transfers, please take our word for it when we say that they are worth every single penny. Seven Seas Explorer was docked in the gorgeous port of Monte Carlo and from the minute we arrived, pulling up beside the ship in true VIP style, it became clear that the next three nights were set to be really special. After being gently reprimanded for attempting to carry our own hand luggage to our cabin, a porter arrived to do so for us, the cases in our hands replaced with a glass of champagne. At check-in, the necessary process couldn’t have been completed any more smoothly. The theatre was a grand surrounding for the handing over of passports and the like, and our champagne glasses were kept full throughout. There were no snaking queues and certainly no stark check-in halls. Once we were checked into our ultra-luxurious floating abode, we made our way to the Pool Grill, where we could have some lunch whilst waiting for our suite to become available. 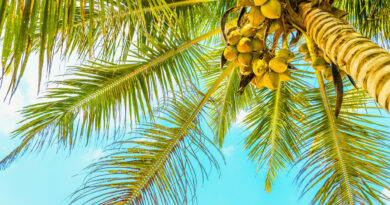 What is it about travelling that unleashes an insatiable appetite? 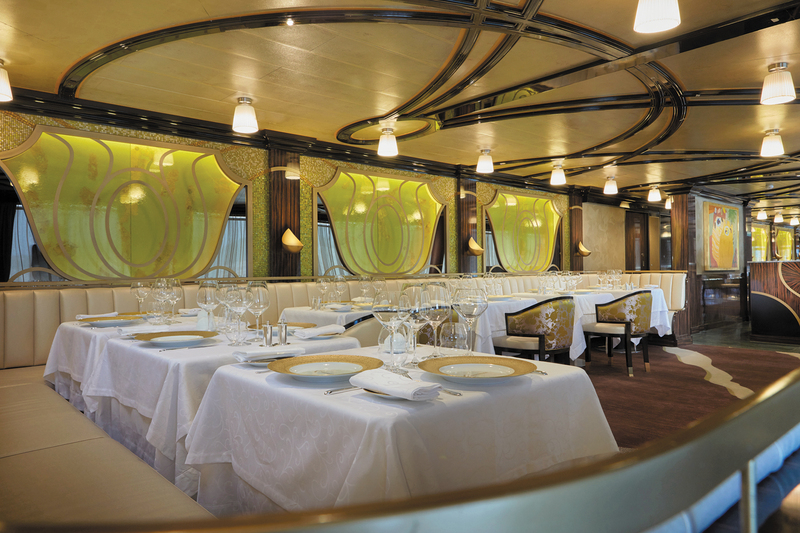 Sitting on the Pool Deck, with the port of Monte Carlo around us and the warmth of the Mediterranean sun on our skin, we tucked into the first of many meals we would enjoy every morsel of during our time aboard. While informal, and so perfect for a quick bite to eat after a shore excursion, the Pool Grill dishes up cuisine cooked with the same quality ingredients and stunning presentation as the ship’s finest restaurants. Tables were set with perfectly pressed white cotton tablecloths and fine silver crockery, burgers were cooked to order and to your liking, and wines were hand chosen from the world’s best vineyards. Plastic glasses are required on the pool deck but Regent Seven Seas Cruises’ attention-to-detail meant that each glass was chilled before use, your drink replaced by the crew as soon as the glass began to warm beneath the sun. After lunch, we lazed on one of the many double sunbeds surrounding the pool, their thick white cushions emblazoned with the Regent signature emblem and their covers replaced every time a guest got up and left. Despite addressing our every single need before we had even realised we had one, the Seven Seas Explorer crew were not intrusive in the slightest. Subtle, discreet and stunningly efficient, our first impressions were that nothing we could have asked for would have been beyond reach. The smoking lounge is also found on the Pool Deck; we call it ‘lounge’ because it is so much more than your usual smoking area. Unique to Regent Seven Seas Cruises and unlike anything we had seen on any other ship, the semi-enclosed glass booth was kitted out with an oak bar, leather bar stools and crystal ashtrays. Most importantly, the ashtrays are cleaned after every use and an air-conditioning system means there is absolutely no smell of smoke. Once given the go ahead, we made our way to our F1 Superior Suite. We were blown away. A bed which faced the balcony meant you awoke to the most incredible views of each port of call. It was also the most comfortable bed we have ever slept in. A spacious marble bathroom had two sinks, L’Occitane toiletries, an enormous bath and not one, but two showers! The walk-in wardrobe was the icing on the cake. We ladies know that there is nothing worse than getting all hot and bothered when you are trying to decide what to wear for dinner and Regent Seven Seas Cruises have taken care of the problem perfectly, with air-conditioning which comes on automatically, along with the light, when you open the door to a walk-in wardrobe worthy of a Park Avenue Princess. Along with the welcome fizz to toast our arrival, the suite also had a mini bar stocked with beer, soft drinks and water. Ice and lemon was available at all times and, as we settled into our home away from home, our steward arrived to introduce himself and take our drinks order. Later that evening, we returned to a litre of Tanqueray Gin and a fantastic bottle of Sauvignon Blanc. Once again, nothing we could request would have been too much trouble for Seven Seas Explorer’s fantastic crew to source. When it came to dining, the gastronomic offering went above and beyond our expectations. From delicious, piping hot breakfasts on our balcony, where our steward had set the table just as it would be set in the dining rooms, to a faultless welcome meal in the jaw-dropping Compass Rose, every meal was amazing, every wine was beautifully matched and the service was exemplary every time. 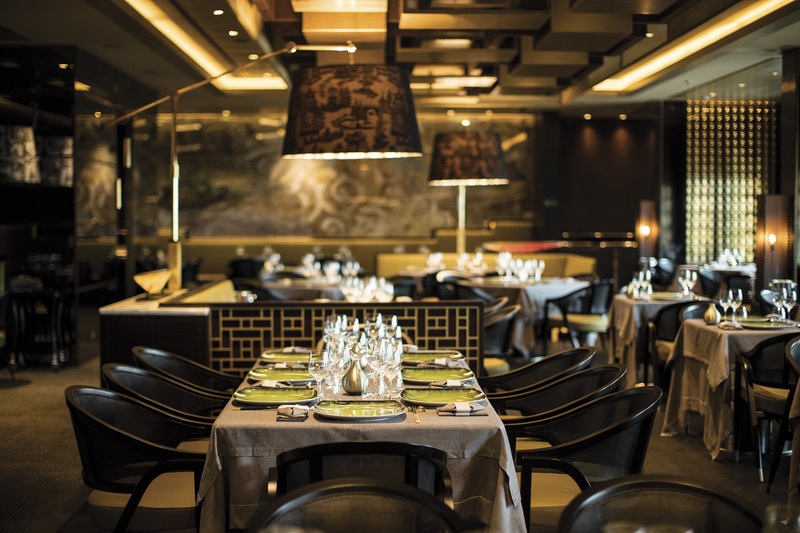 Every dining venue is included within your cruise fare and we were fortunate enough to sample most of them over the course of our three evenings on board. A taste of the Orient in Pacific Rim was absolutely delicious, the waiters so attentive and incredibly knowledgeable about both the menu and the matching wines. The opulent décor elevated the experience to such a level that you could have been forgiven for thinking that you were dining in one of the best restaurants in Asia itself. Prime 7 has the air of an exclusive London gentleman’s club and we waited for our table in huge wingback chairs, drinking a Malbec which had been perfectly stored until it was retrieved especially for us. We dined on fillet steak and enjoyed a cheeseboard dessert, sharing a handpicked selection of speciality cheeses and port. 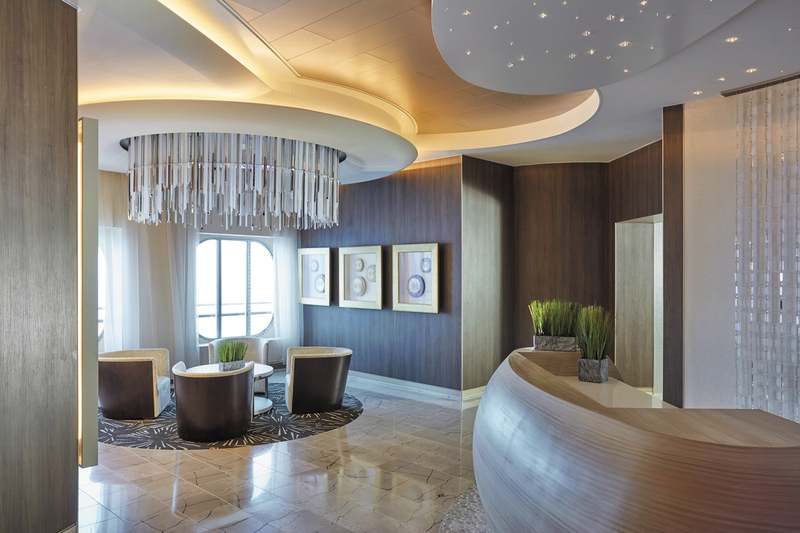 It was the little details which set Seven Seas Explorer apart from other ships; beautiful flower arrangements fill the ship’s public areas and feature lighting differs in every room; there are 5,000 chandeliers on board the ship, from a cascading blue chandelier in Compass Rose, to the amazing crystal number in the Atrium. Everything was faultless, right down to the public bathrooms, complete with cotton hand towels, L’Occitane toiletries and automatic doors. It was clear to see that when Regent Seven Seas Cruises said that no expense had been spared, it really had not. It is safe to say that we didn’t want to leave the ship behind, so our disembarkation was somewhat reluctant. After breakfast, we returned to our suites to find that our bags had been retrieved from the wardrobes and laid out on our beds for us. Oh how we would miss this service and we couldn’t help but wonder whether we had been a little bit spoiled for life? 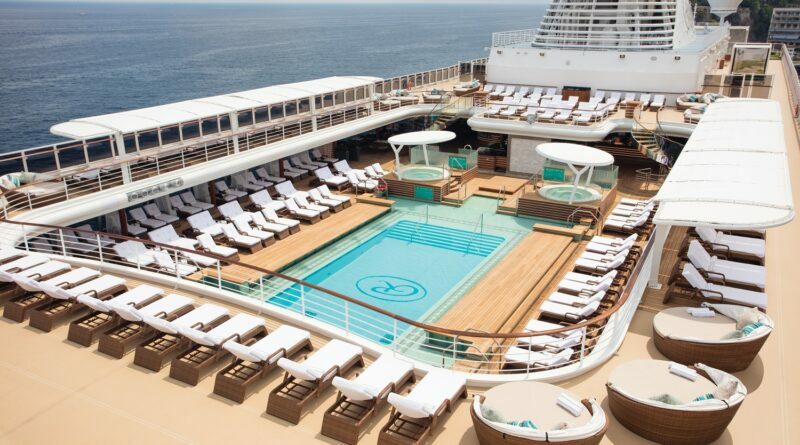 It probably goes without saying that we would absolutely recommend Seven Seas Explorer. 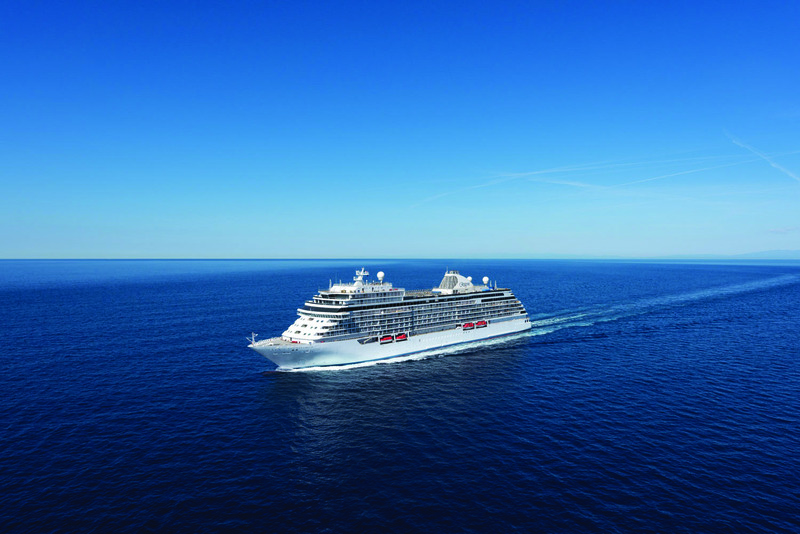 For those who are looking to take things up a notch, experience something really extraordinary and sample luxury cruising as it should be, the newest ship in the Regent Seven Seas Cruises fleet fits the bill beyond any shadow of a doubt. 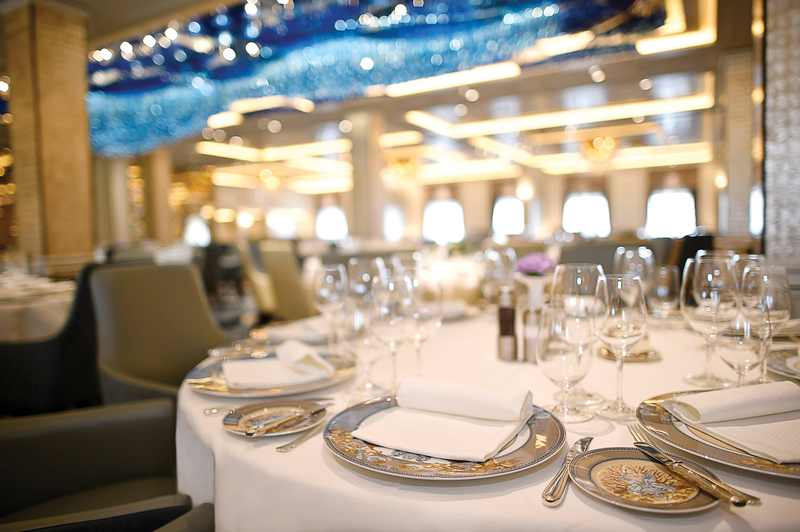 When you take into consideration the fine food, the exceptional variety available when it comes to inclusive wines and drinks, the ship’s stunning surroundings, the impeccable service and the cruise line’s complimentary shore excursions, it really is outstanding value for money. 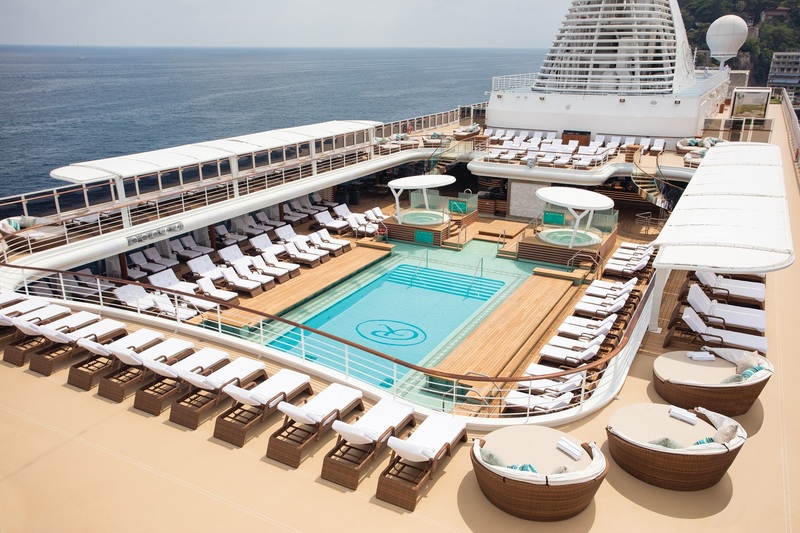 Whilst the designer boutiques and indulgent Canyon Ranch SpaClub are very tempting, you really could come aboard Seven Seas Explorer and not spend a single penny.